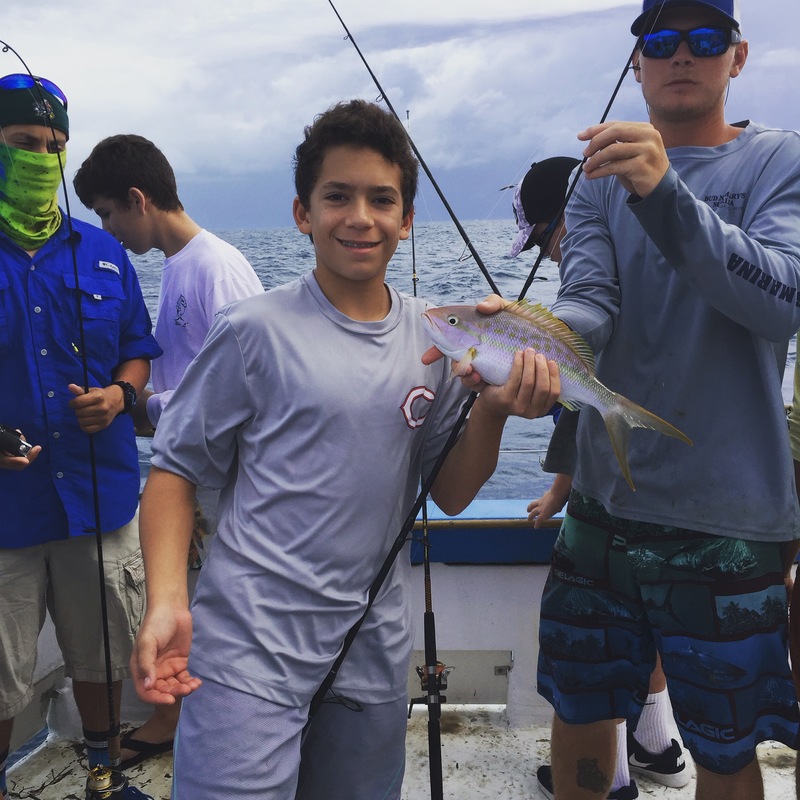 This past Saturday, the Anglers Club completed its third charter trip of this semester to Islamorada, FL, to fish aboard the Miss Islamorada. 34 anglers participated in the fourteen hour round trip. The variety of fish caught included amberjacks, rainbow runners, mutton snappers, hogfish, groupers, porgys, grunts, and 16 inch yellowtail snappers. Adrian “Nugget” Pedron had plenty of fun reeling them in, as it was his first time doing so. The two biggest fish of the day were caught by freshman, J. Stein, and sophomore, Michael Vallone. Stein reeled in a 23 pound kingfish using live bait. 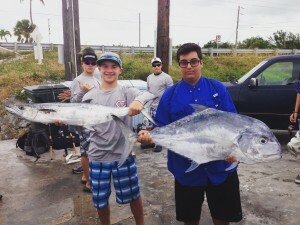 While, Michael Vallone caught what was first thought to be a shark but ended up being a 28.9 pound African Pompano caught on a spinner with 30lb mono. 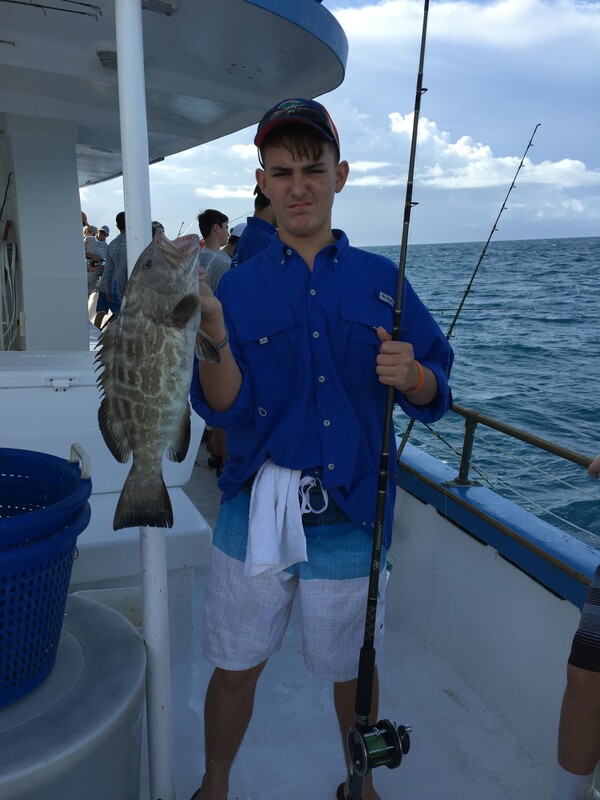 According to the boat captain, Vallone’s catch is considered to be a fish of a lifetime, but I consider it to be an experience of a lifetime for the group. Please give the boys who participated a pat on the back for completing a safe trip on the water, representing Columbus in the finest fashion, and bringing fresh seafood home to their family.